Analyzing over hundreds of thousands of backlight and low light photos, AI HDR+ delivers clarity in your shots with the AI evaluating several frames and segmenting different parts of the photo to combine the best features. The HUAWEI AIS Long Exposure Shot is a perfect partner for travelling to capture the best nature has to offer. Turn bustling rivers or soothing ocean waves into your personal artistic masterpiece.re balanced in different layers to bring your face into focus. Rewrite The Rules of Photography Zoom in to explore the mystery of the celestial at night, watch an eagle hovering over trees or examine the delicate details of crystal. Capture the best things in the moment and create your vision for the future. The HUAWEI P30 Pro is accentuating a new peak of smartphone photography. A Delight of Colour Drawing inspiration from the miraculous sky, the HUAWEI P30 Pro mirrors the transfixing colour of light and space. Witness the beauty of a rosy dawn, mid-day sky, the mysterious Aurora and darkness of night. Super Camera System The Photography Pioneer Dare to impress. The Leica Quad Camera System accommodates your photography to help see the world in its entirety. 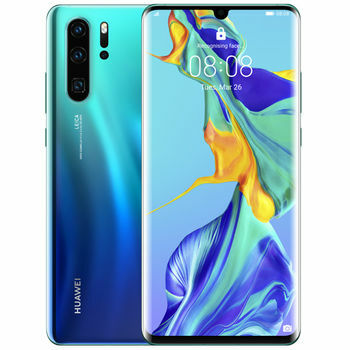 This unmatched super camera system includes a SuperZoom Lens, a 40 MP Super Sensing Camera, a 20 MP Ultra Wide Angle Lens, and a HUAWEI TOF Camera, giving you the freedom to capture your incredible moments. Closer to the Things You Love The new periscope telephoto lens allows more optical zooming capabilities to be tucked in a compact body without losing image quality. Together with the colour saturation provided by the 40 MP main camera, and stability of OIS, the SuperZoom Lens offers 10x hybrid zoom1 to see the never-before-seen with great resolution and rich detail. Additionally, it can bring the moon right before your eyes with up to 50x zoom. The Light Evolution The colour sensing rule has been rewritten by HUAWEI from RGGB to RYYB for more light in all your images. The established cooperation among the HUAWEI SuperSpectrum sensor which contributes 40% increased light,2 ISP of Kirin 980 and the self-developed algorithm, provides a clear preservation of your memories during the day or night. See the Unseen in the Dark See the splendor hidden in the night with up to ISO 409,600 on the HUAWEI P30 Pro. Even in extreme dark situations, you are able to capture beautiful moments like a romantic candlelight dinner or fireflies dancing in the bushes. Beauty in Every Layer Powered by the HUAWEI TOF Camera which measures the depth of objects with accuracy and AIS Long Exposure Shot, your portrait will be highlighted and the sharpness will be exuded to perfection. The background is then progressively blurred with different creamy effects to give a professional-level bokeh. Backlight Challenger Analyzing over hundreds of thousands of backlight and low light photos, AI HDR+ delivers clarity in your shots with the AI evaluating several frames and segmenting different parts of the photo to combine the best features. Turn Water Into Art The HUAWEI AIS Long Exposure Shot is a perfect partner for travelling to capture the best nature has to offer. Turn bustling rivers or soothing ocean waves into your personal artistic masterpiece.re balanced in different layers to bring your face into focus. A Redefined Perspective The Ultra Wide Angle Lens brings out enchanting beauty in the vastness of the sea, grandeur of the sky and maverick cityscapes. Discover the magic of natural views from a broader perspective. Spectacular Macro World The world is yours to discover from 2.5cm close. See the finest details in life with a real macro lens. Be surprised by the exquisite structure and mechanism of the watch clock or the beautiful and delicate flower stamens. 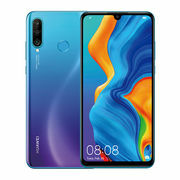 Reveal Your Radiance The 32MP front camera on the HUAWEI P30 Pro will intelligently recognise you to produce expert selfies by contouring your face with accurate brightness and sharpness. Your selfies will glow with stunning detail, even in overexposed backlight or during a night party. You are the director Summer Night Memories Live up to the night with low-light video recording. 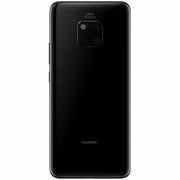 The HUAWEI P30 Pro harnesses a SuperSpectrum sensor for more light to capture moments in the night like a couple dancing next to a camp fire, children running along the beach, or a meteor dashing through the starry sky. Bring the still night memories to life through your phone. Easily On the Move Record family videos while playing around with the kids. The professional AIS plus OIS in the HUAWEI P30 Pro makes handheld video seamless and steady. See Both Sides of the Story Two rear cameras work at the same time allowing you to watch the overall view of the game and zoom into the players’ exciting actions. Enjoy the moment from different perspectives with HUAWEI Dual-View Video. 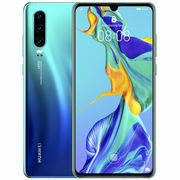 One Touch AI Video Editor The upgraded HUAWEI Vlog’s features and effects are pre-installed in the HUAWEI P30 Pro for simple editing. A simple touch produces your own cinematic masterpiece. Highlight videos are automatically edited with dramatic filters, different speed and unique background music.6 You can also add some texts to name the unforgettable memory. 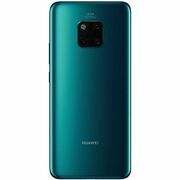 Iconic Visionary Design Magnificent Elegance Absolute elegance in a double 3D curved glass body makes HUAWEI P30 Pro a piece of art. The 6.47’’ OLED Dewdrop display7 brings stunning colours and greater viewing. 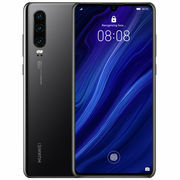 The Intelligent Touch, Absolute Comfort Hold the HUAWEI P30 Pro comfortably with one hand, while a more advanced in-screen fingerprint sensor swiftly unlocks it. 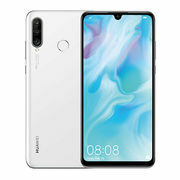 Hear with New Tech Instead of a traditional top-front speaker, the HUAWEI P30 Pro uses HUAWEI Acoustic Display Technology to provide a larger display and increased hearing area. The electromagnetic sound levitation will project sound from the vibrations in the display to your ear. Ready for Exploration For the adventurous souls, HUAWEI P30 Pro is protected with IP68 water and dust resistance.8 You are safe from sudden splashes or drops in water. The Duet of Power and Speed Leap Towards the Future The Kirin 980 is the world's first 7nm mobile process chipset with stronger performance and lower power consumption. 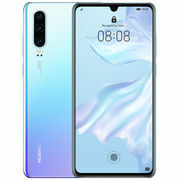 This innovative chipset plus up to 8GB of RAM and 512GB of memory storage,9 reveal a performance powerhouse in the HUAWEI P30 Pro. Ultra Duration, Experience More Experience more everyday with the full support of a long-lasting 4,200mAh (typical value)10 battery with intelligent power saving technology. Refuel in Minutes Charging is no longer a hassle, but a painless task. Charge up your phone to 70% power in 30 minutes11 with the TÜV Safety Certified HUAWEI 40 W SuperCharge before you leave home or during a coffee break. 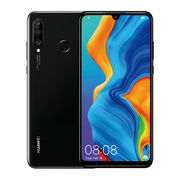 Set Down, Charge Up Set your HUAWEI P30 Pro down and let it charge up with the TÜV Safety Certified 15W Wireless Quick Charge12 without worrying about any cables or wires. When it’s time to go, just grab your phone. Sharing is Caring HUAWEI P30 Pro's Reverse Charge feature can refuel earbuds, a toothbrush or save your friend's dying phone.13 Charging is now also sharing. Intelligent Experience AR Measure14 Complete your DIY projects with a powerful AR measurement toolkit in the HUAWEI P30 Pro. The HUAWEI TOF Camera can accurately and instantly measure the length, width and depth. Utilizing the Face Recognition technology, now measuring the height of a person is just a simple task of scanning from toe to head. Play in Motion Project your HUAWEI P30 Pro to a bigger screen and face towards the rear TOF camera, it will begin to detect your movement. You can immediately enjoy playing Fancy Skiing. Share with OneHop A simple tap from your HUAWEI P30 Pro to the MateBook can send pictures, videos and documents in seconds. And, while playing a game, just shake and touch your phone to the MateBook, you can begin recording a up to 60-second video of the laptop screen that will save to your phone. You can also copy and paste texts between devices easily as if they are working as one.